Carisse Mickey Berryhill, PhD, is Special Collections Librarian and Professor of Library Science at Abilene Christian University’s Margaret and Herman Brown Library. Before coming to ACU, she was Associate Librarian at Harding School of Theology in Memphis, TN (1992-2004), and Professor of English at Lubbock Christian University (1975-1992). Berryhill holds advanced degrees in English, library science, and church history. She does research in rhetoric in the Stone-Campbell religious reform movement of the 19th Century and its 18th Century Scottish roots. During 2011-2012, she held a research leave, during which she worked on transcribing Alexander Campbell’s notes on lectures given at Glasgow University by George Jardine in 1808-1809. 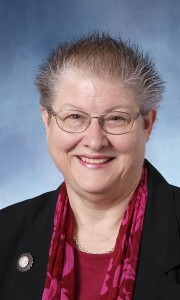 Berryhill has received Pepperdine University’s Distinguished Christian Service Award for her efforts in preservation of Stone-Campbell history (2011) and has three times received the Excellence in Online Teaching Award from the WISE consortium of library schools for her Theological Librarianship course at the University of Illinois (2007, 2009, 2012). She was elected for two terms on the Board of the American Theological Library Association. She currently serves as chair of the Corporation Board of Restoration Quarterly.